If you're searching the internet for a roofer in Leeds, we understand that you'll be looking for a roofing firm who offer high quality roofing at affordable rates. What's more, it's likely that you'll want someone with a strong reputation for quality work as well as someone who has a strong reputation in the Leeds area. We hope that, with us, you've found that roofer. We've been roofing in Leeds for more than ten years! 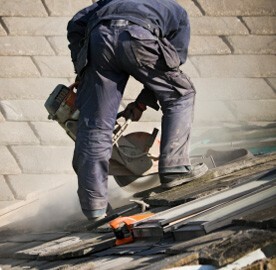 For a roofer you can trust, call us for a free, no obligation quotation on 0113 370 9075. Shall we call you instead? 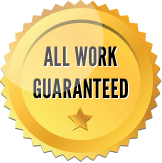 We offer free estimates and all of our work is guaranteed, just give us a call and we'll do our best to help you. Read more about roof repairsSprung a leak or have some slates broken? Give us a call and we’ll come to take a look and give you a free, no-obligation estimate. Read more testimonialsWe're proud of the high quality of our workmanship, but don't just take our word for it – see what our customers have to say. Read more about our servicesWe provide a full range of services right across the city. Why not click the arrow to the right and see if we cover your postcode area.